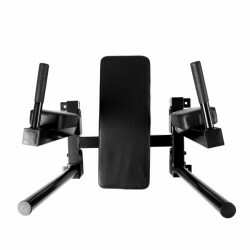 The Taurus UltraForce is a multi-gym without weights. Hydraulic pistons generate the resistance. It makes the multi-gym very light; it is even movable. Thanks to the smart pulley system, the successor of the Taurus BioForce offers about 100 exercises. The Taurus multi-gym WS7 makes strength training at home as diversified, effective, comfortable, and safe like never before! 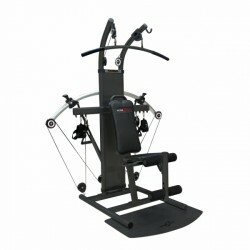 Particularly the chest press with many grip possibilities and the cable pull arms offer a first-class range of exercises. 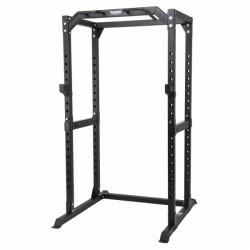 The Taurus Power Rack for barbells offers an excellent stability and an outstanding adjustability. 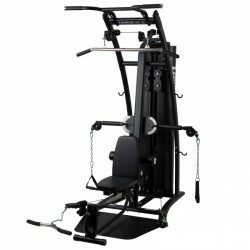 Together with its good equipment, it is a real price-performance bargain among the power racks. With its numerous push and pull configurations the Taurus Multi-Gym WS5 offers the best conditions for variable and effective training. Even the seat offers a positive surprise that is unusual for multi-gyms. The seat can be adjusted so that you can look away from or look at the multi-gym or even laid flat. That means you can change the multi-gym to suit each exercise perfectly. It can also be folded out of the away so you can better train your chin-ups. Well equipped multi-gym for training at home. Integrated Chin-up grips (also suited for anchoring a sling trainer) – The bench can also be folded out of the way. The Taurus Pulley Hi-Low stands for versatile training. 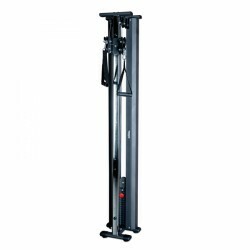 The double cable machine is freely adjustable in height. Do exercises, i.e., for chest, biceps or abdominal muscles. The cable pulleys swivel freely inwards or outwards. This makes exercises with wide or narrow grip possible. The Taurus cable pull module FCM is a functional multi-gym of high stability and many smart details. Both cable pulls are multiple adjustable in height. 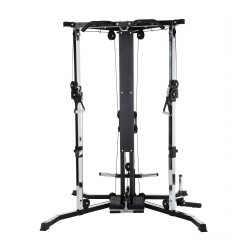 In addition, the module offers a low/deep cable pull, a chin-up bar, a core trainer as well as the possibility to use the module as weight rack for bench press. 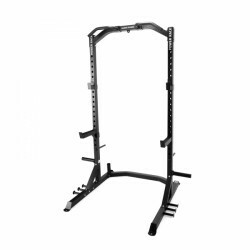 The Taurus Power Cage Premium offers optimal options for the safe and effective training of the most important exercises for strength training: Chin-up, squats, deadlift, and bench press. Here, the module is multiple adjustable and very stable. In addition, the Power Cage can be made more diversified by means of separate equipment. The Taurus abs/dip module for wall mounting for wall mounting is made of a very sturdy frame. The fitness equipment for abs and triceps workouts is extremely hard-wearing. 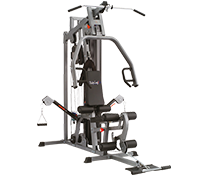 The Taurus multi-gym Ultra Force Pro offers astonishing features: Instead of a common weight stack or weight plates, it is equipped with a hydraulic resistance system. It is much more silent in use and the total weight of the equipment is much lower. Thanks to integrated transport wheels, the Ultra Force Pro can even be moved. Taurus Power Cage Set: Save 30 % compared to the recommended retail price of single products! 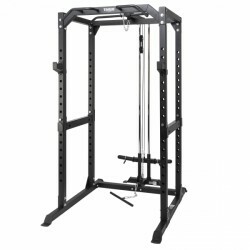 Here you get the complete set: The Taurus Power Cage Set includes the Taurus Power Cage Premium, a cable pull, a dip module, and a pair of additional weight racks. Awesome station. I could do almost my routines with it. Very stable and definitely would recommend it as it allows you to exercise with so many different possibliities. Awesome quality for the price. I love my abs/dip station. 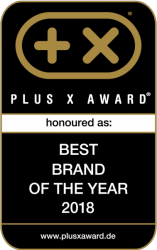 Taurus stands for innovation, well-thought out technology and a demand of highest quality. 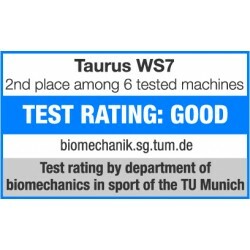 Taurus focusses consciously on the knowledge of sports scientists, the experience of sportsmen of different areas and a complete test procedure for the continuous development of its multi-gyms. Experienced sportsmen know that maximum performance is in the centre of interest for a holistic training of the body - and Taurus uses it to customize multi-gyms to the needs of sportsmen, who attach great importance to functionality and quality. In addition, Taurus multi-gyms provide an elegant design, which upgrades every fitness facility. 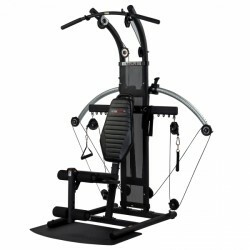 Thus, you get a multi-gym which looks great and which guarantees a long durability. Performance is of utmost interest for Taurus multi-gyms. Which features does a Taurus multi-gym offer? Taurus multi-gyms fulfill the needs of all sportsmen, who look for training possibilities of the whole body and for a high adjustability of the multi-gym. 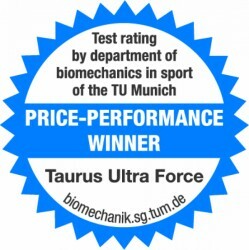 The Taurus multi-gym UltraForce emphasizes the demand of Taurus, to make innovation the standard. It is equipped with a revolutionary hydraulic resistance system, which replaces a weight stack completely. The sound level of strength training is distinctively reduced. Thus, the Taurus multi-gym UltraForce is excellent for a workout at home - flatmates or neighbours are not disturbed. Besides the multi-gym UltraForce, Taurus offer further high-quality multi-gyms, which differ in functionality, size, and price. Here, Taurus adapts completely to the individual needs, conditions, and targets of the user. 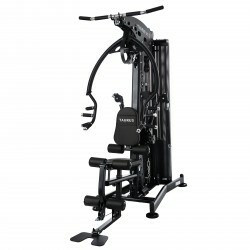 An ergonomic and comfortable workout is guaranteed by the excellent workmanship of frame, upholsteries, and joint components (i. e., of the Taurus multi-gym WS7). A clean course of motion of exercises is essential for a healthy and sustainable strength training. Here, Taurus also stands for absolute reliability and user-friendliness. No matter which Taurus multi-gym you take: Either multi-gym, cable pull module, Taurus total trainer or another Taurus strength equipment - You will be inspired by quality and functionality of a Taurus multi-gym.